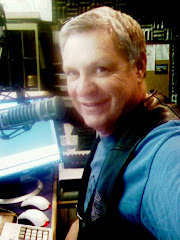 As a career broadcaster, the thought that Radio could be over sends a chill up my spine. Those of us in the USA have, for the better part of a century, enjoyed FREE radio and television. * Internet Radio, at the very least, requires subscription to a high-speed ISP. Cost: around $60 per month. * Cell phones with internet access cost about twice that. * Even before television converted to HDTV, most viewers subscribed to either cable or satellite service. Now, for many to access local channels, they have to subscribe. Anyone who has ever worked with Cable and Cell Phone providers knows that they understand the absolute basic premise of the media business: Distribution. No matter how great the programming is, if you can't get it to a mass audience, it will fail. And if they control the distribution, they control everything. Steve Jobs understands this. Cable and Mobile providers have invested hundreds of billions of dollars into developing their distribution platforms -- and they fully intend to see to it that nobody will make more money from the use of their platforms than they do. As James Carville might say: It's all about distribution, dummy! This leaves terrestrial RADIO as the only FREE service left. It seems to me this is something worth fighting for! * Radio will be at the mercy of out-sourced distributors. * Radio will no longer be free, forcing us to compete with all other media, including video, on the same platforms. * Radio will no longer have the ability to connect advertisers with 240 million American consumers on a free platform, and that will lead to huge losses in ad revenue. To some degree, this loss of ad revenue is already happening. Don't believe me? Just ask one of your local account execs. Ask who's getting the budget your local station used to get? You'll discover that cable television offers local insert rates (into FOX, CNN, A & E, and local network television) that are, in many cases, lower than your station can offer, and considerably lower than the local TV stations. So, what can Radio do to protect its place in this new hyper-competitive media world? Only one thing: Create programming content that people do not want to live without. And there is a contemporary example we can emulate: HBO. About a decade or so ago, HBO realized they had become just another 'movie channel,' and that they were forced to bid higher and higher amounts for the top box office films in order to keep them off competitor channels. HBO was becoming a commodity with ever-increasing product costs that were out of its control. How would they survive and thrive? HBO began creating original programming. At first, true hit shows were rare, but then The Sopranos hit Sunday evenings. Suddenly, HBO was the "movie channel" everyone had to have, the premium TV they were more than willing to pay for. You've seen the result. HBO continues to invest in original content, and to pay for quality programming that is not available anywhere else. HBO has increased its value, and its differentiation at the very time network TV is struggling to produce real hit shows, seen by fewer and fewer eyeballs, producing less and less revenue. If Radio, as the last totally free medium, is to survive and thrive, giving in to cell phone apps and online streaming is not the way. Cutting costs, cutting talent, becoming music services with lots of ads, will only hasten our demise. It really is All About Distribution, Dummy! And with a weekly cume of nearly 240 million unique listeners, Radio's distribution far exceeds that of any of our competitors. We already have the audience on the best platform available, because it's ubiquitous and free. Now we need to invest in original content that cannot be duplicated anywhere else. It's not the playing field that has to change, it's the plays.